Relay technicians, system protection engineers, consultants, and engineers and technicians working in system protection can take this online course to expand their knowledge of protective relay systems. The course will benefit personnel of all levels of experience because it covers a range of complexity of relay schemes, methods of testing relays and of analyzing relay operations. ELO has partnered with the Electric Power Research Center (EPRC) at Iowa State University to create a course that discusses basic system protection principles, measurement devices used for relaying, basic relay schemes used, and the most common schemes used in the field. Adapted from a live seminar from 2012, Tim Ernst, a system protection engineer, provides professionals with real examples from actual system protection situations. Tim Ernst of P & E Engineering Co. will present relay theory and operation of the older electromechanical as well as the modern digital types, covering many types of functions such as overcurrent, over voltage, impedance and differential. His presentation will include topics such as fault current basics and application of fuses and reclosers on distribution circuits and circuit breakers and instrument transformers in substations on distribution or transmission circuits or lines. The course begins the date we receive your registration and payment. All course work must be completed within 3 months of that date. Approximate time to complete this course is 8 hours. Once your registration information is received, we will send you your username and password to access the course site. Complete the learning modules at your own pace. For each learning module, you will watch a lecture video and take a quiz, with the option to view the PDF slides Tim uses in his lecture. Upon completion of the course, you can receive 0.8 CEU (8 PDH) by ordering your credits from our Web site. Issuing a CEU is $25. Please request your CEUs through the course site. You must pass all quizzes with 100% in order to receive credit for the course. To take each quiz, you must first watch the corresponding lecture video. Each quiz ranges from 2 to 7 questions and you have an unlimited number of attempts to pass each quiz. You will be provided with a PDF copy of the presentation slides Tim Ernst uses in the lecture videos. 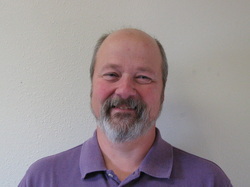 Tim Ernst is an electrical engineer with 33 years of utility and consulting engineering experience. He is a co-founder and partner in P&E Engineering Co., a full-service engineering consulting firm that specializes in the needs of the electric utility industry. He holds BSEE and MSEE degrees from Iowa State University with an emphasis in power systems and control systems. Tim specializes in power system protection and various types of power system analysis including electromagnetic transient analysis utilizing the EMTP program. He has extensive experience designing relay and control systems for transmission substations, designing protection and control systems for generation interfaces and in integration of substation protection, control, and SCADA systems. Tim has significant experience performing commissioning testing of substation and generator facilities. He also has experience in Power System Analysis including short circuit, load flow, transients and harmonic. Tim has Professional Engineering Licenses from Iowa, new Mexico, Nebraska, Michigan and Minnesota.